Struggling for storage space? Fed up with opening your wardrobe and struggling to find your favourite clothes? Yes we know it is just frustrating. 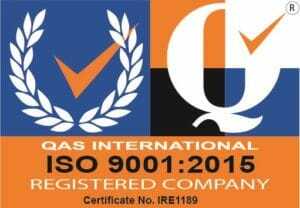 We hear you! The Hanger Experts have put together some handy space saving storage solutions. In addition, they are simple and inexpensive. Use a space saving black hanger to hang up to 12 garments. A simple and very clever solution. Also known as a transport hanger because it is very handy for hanging clothes in your car. Hang garments in line with the garment rail rather than at right angles to save space. Secure up to 12 clothes hangers because of the strong metal hook on the transport hanger. 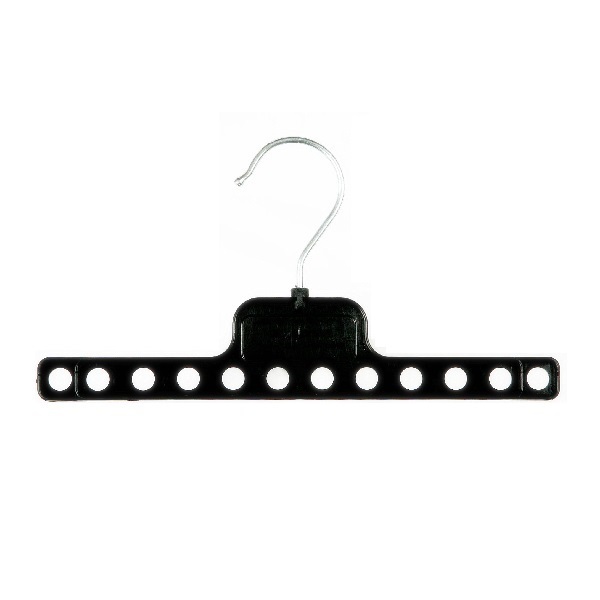 Order our space saving black hanger in handy pack sizes starting from just a pack of 10. Another simple space saving storage solution is the hanger hook connector. Simply hang the connector over the hook of a coat hanger. Next slot another coat hanger in to the hanger connector. As a result hang two garments instead of just one and take up the same space on a garment rail. Use several hanger connectors and create a daisy chain. Therefore, hang several garments and use the same space as hanging just one item of clothing. Genius! Choose hanger connectors in lengths of 1 inch and 7 inches. Also, choose from black, natural (clear) or white colours. Handy pack sizes starting at just a pack of 10. More space saving storage solutions from The Hanger Experts include use rail dividers to sort wardrobes and save space. Organise your wardrobe and hang clothes by garment type. First empty your wardrobe and then sort all your garments by their type. Next hang all your coats together on the garment rail. Then slot a rail divider over the rail to separate your coats from your jumpers and sweaters. Next hang jumpers and sweaters together. Place another rail divider over the rail to separate your jumpers from other tops. Then hang blouses, shirts and tops together. Repeat this process until all your clothes are organised by type. Use different colour rail dividers to separate garment types on a rail. As a result finding your favourite clothes is very simple. Organise your wardrobe using our rail dividers is a simple way to save space. Dispose of old clothes after emptying your wardrobe and sorting them by type. Don’t hang them back up and mess up your wardrobe again! Use the new space as an excuse to buy some new clothes!!!! Our final space saving storage solution for this blog is a handy and yet simple tip. 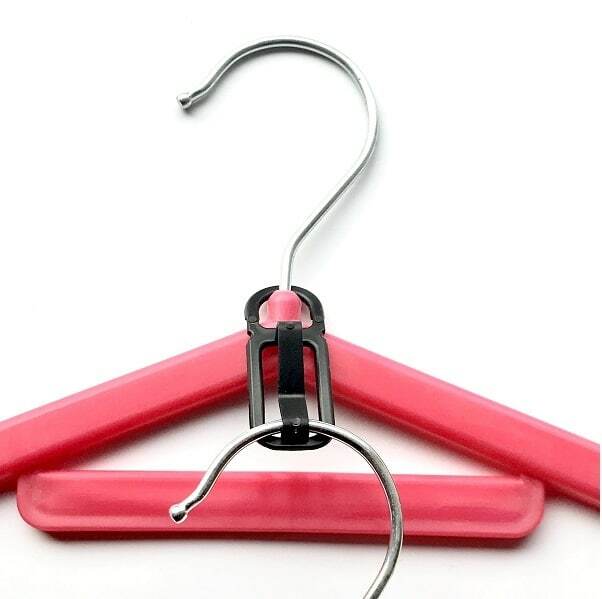 Use the right clothes hangers to hang garments! For example, hang jackets on a large plastic jacket hanger. Don’t hang small tops on them! Use children’s hangers to hang children clothes, don’t use adult size clothes hangers! Hanging garments with oversized hangers is a quick way to waste storage space. Also, using over sized hangers will stretch and cause garments to loose shape. Who wants to suddenly find their clothes have stretched and become too big?! Follow the above handy space saving storage solutions and enjoy a happy wardrobe!